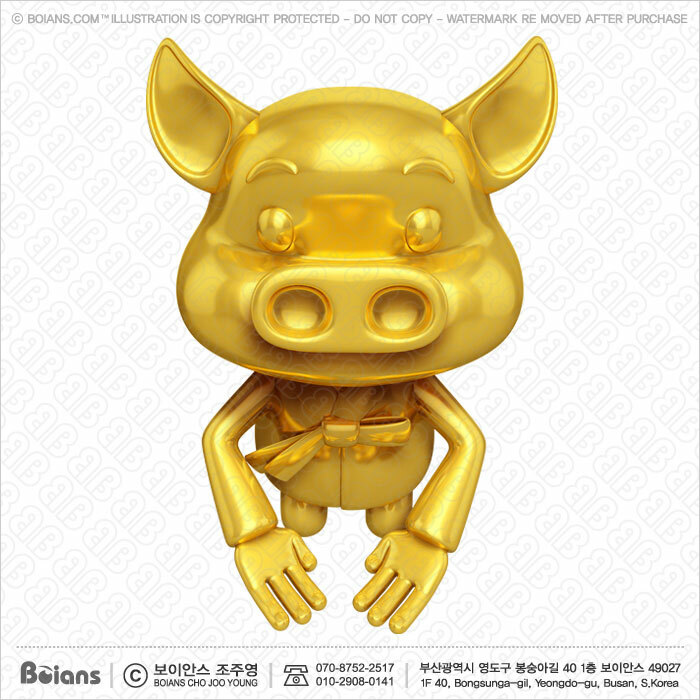 Boians 3D Golden Korean Pig character is bow down. Illustration of Isolated Pig. 8. Format: PSD, JPG, BMP, GIF can be changed.